The almond that we think of as a nut is technically the seed found inside a fruit. If you plant an almond, a fruiting tree will grow. Food for thought. Origin USA. Almonds are rich in Vitamin E and have a beautiful creamy texture making them ideal as a snack or used in baking and raw food recipes. We source our almonds from U.S. where they are dried and harvested in this beautiful Mediterranean climate. 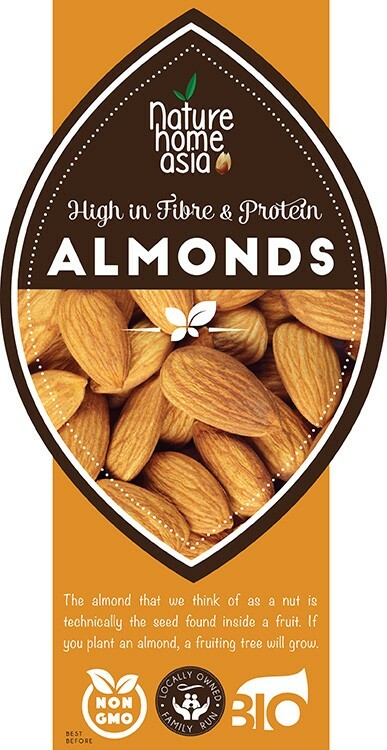 Almonds are regarded as the healthiest of all the nuts, being lower in fat than others but still packed with nutrition and loaded with minerals like magnesium, vitamin B2 and also very high in antioxidants. Almonds are one of the best sources of Vitamin E in any food which is linked to many health benefits including reducing your risk of heart disease. 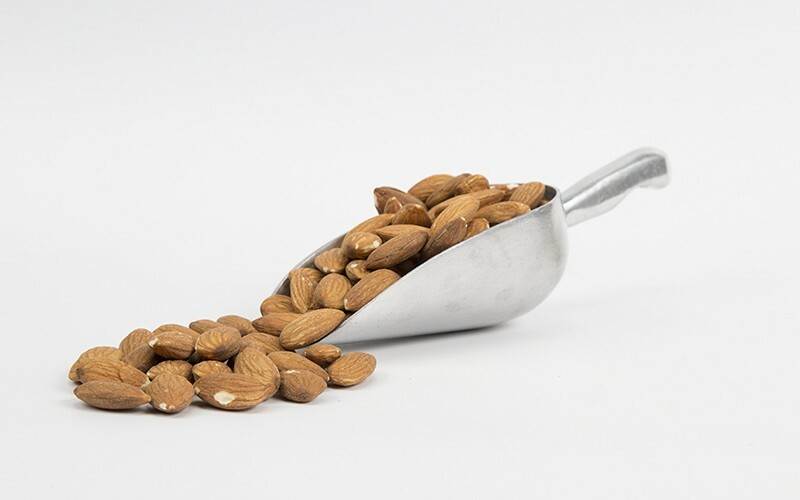 Almonds are low in carbohydrates which makes them suitable for diabetics or anyone wishing to monitor their carbohydrate intake and have a very high level of magnesium. Magnesium deficiency is one of the most common deficiencies today that often goes undetected. Magnesium is required for over 300 processes in the body including relaxing muscles and regulating blood sugar levels and blood pressure, and reducing your risk of having a stroke. So a handful of raw almonds daily is the perfect way to supplement your diet and make sure you’re getting adequate magnesium in your diet. There are so many wonderful ways to use almonds! Almond butter is rich creamy healthy alternative to peanut butter, replacing normal milk with almond milk is a simple and delicious way to cut out dairy from your diet and mixing a few almonds with dried fruit is the perfect “on the go” snack. We love using them in our raw food recipes, from energy balls, crunchy raw cake bases, to creamy satisfying smoothies Almonds are our No.1 favourite nut!